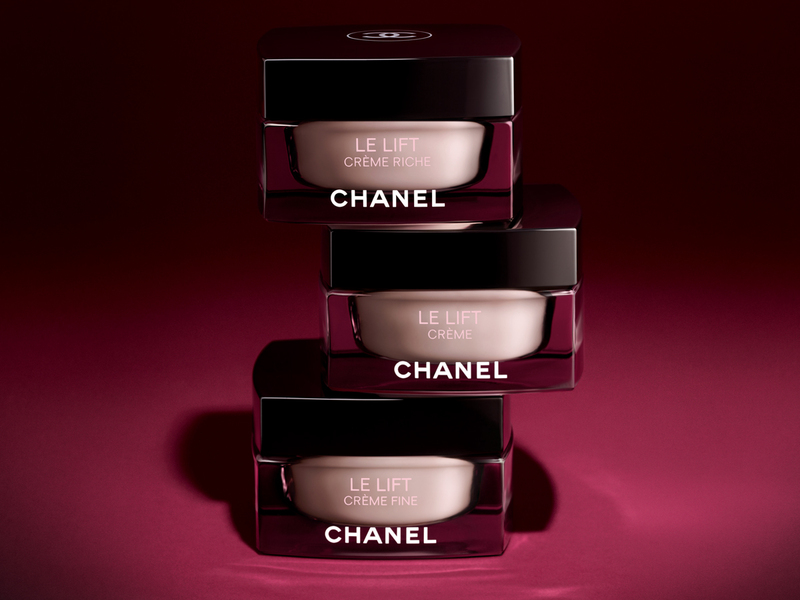 Chanel’s Le Lift range of beauty products, specifically 3 from the Crème sub-category, are set to be given an uplift (quite literally) this August. Gone are the all-black jars and in their place are these softer, almost transparent bottles that come with a feminine, rosy tint to them. What’s interesting about this new generation of Le Lift creams lie in its power of transformation from the 94% natural-origin formula of its contents targeted specifically at the skin’s needs. A secret ingredient? The alfalfa botanical concentrate which aids in skin regeneration on both the epidermis (induces epidermal thickening) and dermis (increases the synthesis of type 1 collagen) levels. This double action works hand in hand with the effects of edulis, another active ingredient that’s currently present in all Le Lift skincare products. Altogether, you can look forward to 3 types of creams, each armed with a different texture and formula that aims to smoothen wrinkles, making the skin elastic, luminous and refined all at once. In other words, allowing your skin to face time more gracefully. The Le Lift Crème Fine comes in a delicate texture, leaving a light and airy feel on the skin. The Le Lift Crème, on the other hand, comes in a soft creamy texture that gives a melt-away quality upon application. Rounding up the trio is Le Lift Crème Riche, the thickest of the three, one that leaves an enveloping balm sensation on the skin. Available in a 50 ml jar, each Crème is priced at SGD226, and will be available at Chanel’s Fragrance and Beauty Boutiques from 24 August 2018, and all other beauty counters come 31 August 2018.